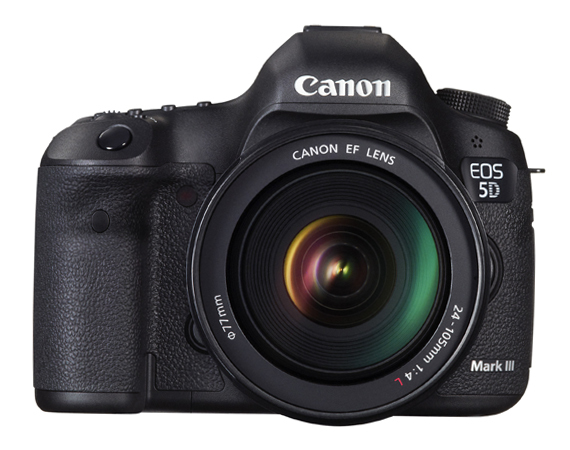 The Canon EOS 5D Mark II Digital SLR Camera is a new product positioned between the Canon EOS 5D Mark II and the high-end EOS-1D X. The EOS 5D Mark III sports a 22.3-megapixel full-frame DIGITC 5+ CMOS imaging processor making this sensor 17 times faster than the DIGIC 4 in the EOS 5D Mark II. The Mark III boasts the 1D X’s high density 61-point reticular autofocus with 41 cross-types, a bit of an upgrade over the Mark II 9-point autofocus. 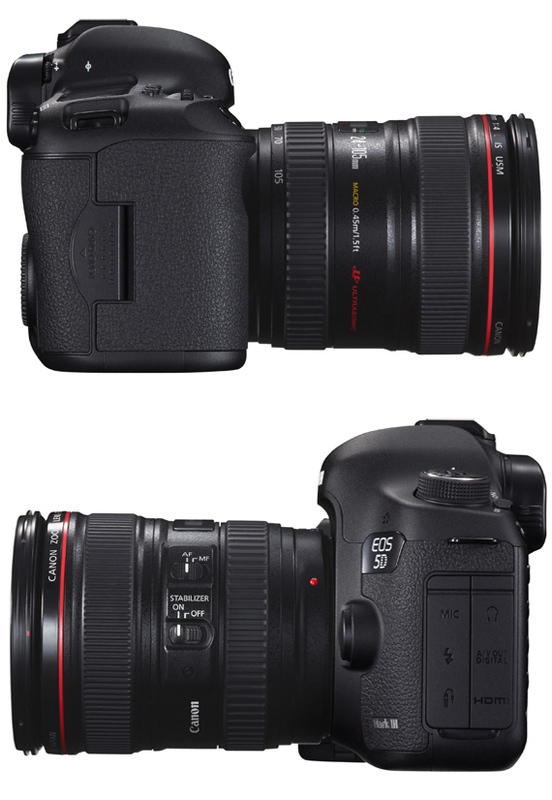 The Mark III has 100-25,600 native ISO range (51,200 and 102,400 extended), and functionality for 6 fps burst shooting mode with RAW processing, JPEGs, and movies all delivering on-chip lower noise levels with higher sensitivity. These features allow for its greater ability to shoot “outstanding image quality in all shooting conditions, even low light” (Canon). 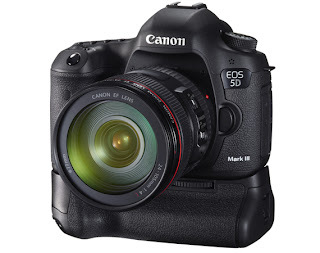 The EOS 5D Mark III has enhanced video functionality over the Canon EOS 5D Mark II released in 2008. It shoots H.264 encoded video at 1080p at 24, 25, or 30 fps or lower 720p at 50 or 60fps. Video files are no longer limited to 4GB file data limit and will automatically create additional video files allowing for a 29-minute and 59-second maximum shooting length verses a prior maximum of 12-minutes with the EOS 5D Mark II.The Mark III also has an enhanced weather sealing body with a 3.2-inch LCD display with 1,040,000 dot resolution. The Canon EOS 5D Mark III will be available later this March for $3499 MSRP along with an option for the EF24-105mm f/4L IS USM zoom lens kit for $4299. Our recommendation; if you are just getting into photography, a current armature, or aspiring pro - unless you are shooting a lot in very low light environments or focusing on having the Mark III video features then I would recommend going with the Canon EOS 5D Mark II since the recent price drop, 40% less than the Mark III. An option to the Canon EOS 5D Mark III is the recently released Nikon D800 with a 36-megapixel sensor for around $3000. 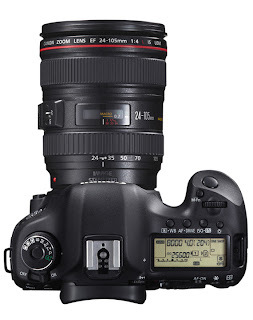 What are your thoughts regarding these new Digital SLR products? What are the most important features you are looking for in these cameras that will meet your needs? New iPad Released! Not Called iPad3 or iPadHD?